"Be careful from all things; then, you will have time for God. Die to all people; for, this is true exile. Moreover, retain the virtue of not reckoning yourself as anything; thus, you will find your thought to be undisturbed. In addition, do not consider yourself as having done anything good; thus, your reward will be kept whole. After your morning prayers, while washing say: "Thou shalt sprinkle me with hyssop, and I shall be clean: Thou shalt wash me, and I shall be whiter than snow." When dressing, think of the cleanliness of the heart, and ask the Lord for a pure heart: "Create in me a clean heart, O God." If you have bought or made new clothes and are putting them on, think of the renewal of the spirit and say: "Renew a right spirit within me." When you are about to leave the house to go to work or school or on a trip, think of the righteousness of spiritually walking before God; turn to face the Holy Icons in your house, bless yourself, and say: "Direct my steps according to Thy word: and let no iniquity have dominion over me." (Psalm 118:133). When you are about to take up your day's duties, you may say some or all of the Prayer of the Optina Elders: "Grant unto me, my Lord, that with peace of mind I may face all that this new day is to bring. Grant unto me Grace to surrender myself completely to Thy Holy Will. For every hour of this day instruct and prepare me in all things. Whatsoever tidings I may receive during the day, do Thou teach me to accept tranquilly, in the firm conviction that all eventualities fulfill Thy Holy Will. Govern Thou my thoughts and feelings in all I do and say. When unforseen things occur, let me not forget that all cometh from Thee. Teach me to behave sincerely and reasonably toward every member of my family, that I may bring them no confusion or sorrow. Bestow upon me, my Lord, strength to endure the fatigue of the day, and to bear my part in all its passing events. Guide Thou my will and teach me to pray, to believe, to hope, to suffer, to forgive and to love. Amen"
LASTLY, private, personal requests for: body (health, protection, strength and fitness) labor (good job, income, financial security), emotional (joy, peace, patience, self-control), social (for marriage, family, love and forgiveness) and spiritual (for salvation, spritual growth, grace and hope). AS I LOOK AT MY LIFE, WHAT IS POSSIBLE FOR ME IF I TRUST GOD? HOW CAN I LEARN TO RECOGNIZE THE SIGNS GOD MAY SEND ME? HOW HAVE I CHANGED OR GROWN AS I TAKE MY JOURNEY OF FAITH? What do others see in me? Do they recognize the image and likeness of God? How can I transform myself, my earthly canvas, into a heavenly image? Is Christ really central to my whole life, in all I think, in all I say, in all I do? Do I accept adversities of life according to God's will as our Blessed Mother did? or do I want only answers according to my will? Do I remember to pray to the Theotokos, who as the mother of Jesus, will intercede for me for the salvation of my soul? Through prayer and fasting, can I forgive the offenses of others, so that my sins may be forgiven? How am I preparing for the Bridegroom's arrival? What are the times in my life when I can remember repenting, confessing my sins and knowing that my burdens were lifted? How can I increase my desire to follow in the path of Jesus? Have I set aside time each day to pray a Psalm and reflect upon its meaning to my life? Do I make good use of the opportunities for quiet time and listen to what God may be saying to me? Am I where I would like to be in my journey toward Christ? What concrete steps steps can I take to bring myself closer to where I should be on the road to salvation? HAS THE GLORIOUS LIGHT OF THE RESURRECTION TRANSFORMED MY FEAR OF DEATH TO HOPE IN GLORY? Have I, in my prayers for departed ancestors, been thankful for the gift of faith they passed on through my family, and eventually, to me? Is the Cross a source of healing, life and love? What areas of my life do I need to bring before the Cross for healing/transformation during the Great Fast? How do I embrace the "crosses" of my life? ". . . behold me sunk in sin, filled with despair by reason of my deeds, yet not rejected b y Thy love." In my most sinful, darkest hours, have I remembered to fall at the feet of Jesus and seek His mercy? When I have done this, has He not always generously forgiven and comforted my despairing soul? Have I, in turn, sought to generously forgive others, even when they fail to seek my forgiveness? As I draw closer to remembering the day of sublime mercy when Jesus died for us even though we were still in sin, have I forgiven those who have wronged me and sought forgiveness of those I have wronged? Do we come to the Passover mystery with the humility to accept the gift that is offered - a gift beyond our power to comprehend? Is God's love the greatest reality in our lives? How will our faith that we truly receive the Body and Blood of the Lord in Holy Communion change us? They are to flee to God through prayer, not only through prayer which is said with the mouth, but more rather through noetic prayer spoken in the heart with the inner word of the heart. This prayer means that they who are warred upon by demonic thoughts are to keep the inner and esoteric word of the heart silent from every other thought, in order for the inner word to repeat and say this short and so-called single-phrased prayer: "Lord Jesus Christ Son of God have mercy on me." And while the inner word below is repeating this prayer, the intellect is to bring down its noetic energy into the heart and noetically concentrate with all of its might on the words spoken by the inner word of prayer, without imagining anything noetic or sensible, just as all the divine Fathers, ancient and new, commonly teach. This noetic prayer is the only mighty, the only helpful, and the only victorious weapon in the noetic war of the thoughts, and this is necessarily so, for the war is noetic, and noetic weapons are required to be victorious. The Jesus Prayer treats all of the causes for bad thoughts. The inner word of the heart, always repeating and saying the prayer, "Lord Jesus Christ," ceases from being an organ of the evil spirits and from speaking some other obscene or blasphemous or evil words; and because the imagination, being the bridge of the demons by which they mingle with the soul, according to the divine Fathers, is purified from every passionate idol. " The warmth generated in the heart from the continual repetition of the sacred prayer chases away and scorches the assaults of evil thoughts like a fly, according to the great Gregory of Thessaloniki, and it scatters the passions of the intellectual aspect of the soul like clouds and smoke and causes it to become bright and radiant, it placates and calms the passions of the incensive aspect, it scatters the passions of the desirable aspect, and draws all of that loving power to itself and to the love of the one being repeated, Jesus Christ." Always repeating the very name of Jesus Christ in the heart flogs, wounds and drives away the demons from the heart. That is why the divine John of the Ladder said, "Flog your enemies with the name of Jesus." (Step 21) Gregory of Sinai says: "The memory is restored above all by constant mindfulness of God consolidated through prayer, for this spirituality elevates the memory from a natural to a supranatural state." Matthew 15:19 " . . . and where in the past out of the heart proceeded evil thoughts, murders, adulteries, fornications, thefts, false witness, blasphemies . . . afterward come good thoughts, spiritual reflections, words of wisdom, judgments, analyses, and discernment. Therefore repeat continuously in your heart the name of Jesus Christ through the Jesus prayer because this noetic and uninterrupted prayer in the heart was not only given to ascetics and monks, but also to all Christians in the world. Therefore the Apostle Paul commands and says to those in the world to pray always: "Pray without ceasing." (1 Th. 5:17) because it is possible for us to pray continuously: when at work, when eating and drinking, when at home, when outside, when sitting, when walking. Paul commands in 2 Timothy 2:25, "in meekness instruct those that oppose themselves." "Repentance is the second grace and is begotten in the heart by faith and fear." No other virtue can reconcile all of us who have sinned with God except repentance. Let us also cry out with David: "O come, let us worship and fall down before Him, and let us weep before the Lord Who made us. For He is our God, and we are the people of His pasture and the sheep of His hand." (Ps. 94:6-7) Let us cry out with the three holy youths unto God: "We have sinfully and lawlessly departed from Thee, and have sinned in all things and have not obeyed Thy commandments; we have not observed them or done them, as Thou has commanded us that it might go well with us." (Song of the Three Youths verses 6-7) "Who can tell if God will turn and repent, and turn away from His fierce anger, that we perish not?" (John 3:9) And let us not cease, night and day, to shout those compunctionate words which were taught "Whoever received heavenly baptism and then sinned, sinned in heaven. For he who sinned prior to baptism, sinned on earth." (Gen. 3:19), it was said to Adam. But, whoever through baptism put on Christ, is no longer earth, but heaven: "As is the earthly, such are they also that are heavenly" (1 Cor. 15:48). Let him therefore come forth and say: "Father, I have sinned against heaven and before Thee." (Luke 15:18) Why? Because my heart which was sprinkled with the blood of Jesus and had blossomed like a rose, I have soiled by hedonistic pleasures of the flesh. I have infuriated Thee. I have grieved Thy Holy Spirit. I have smeared the resplendent garment of Faith through sin. I have subjugated my soul to the darkness of sin. Mark says: work of repentance is evident:following three virtues: the withdrawal of thoughts, ceaseless prayer and the endurance of encountered afflictions. Let all involuntary suffering teach you to remember God, and you will not lack occasion for repentance. Consider the outcome of every involuntary affliction, and you will find it has been the destruction of sin." John of the Ladder says: "A sign of true repentance is the acknowledgment that we deserve all the afflictions, visible and invisible, that come upon us, and even greater one." (Step 5) Gregory of Palamas of Thessaloniki says: "If you regard yourself as deserving the more drastic remedy of repentance, you will be ready to bear any affliction and will accept any temptation as your due, and you will rejoice when it comes, for you will see it as a cleansing-agent for your soul." We all cry out to God: "Lord have mercy," and "Master pardon our transgressions." For those who pray for me to find stillness and silence feelng compunction upon my bed for what "..say what is in our heart. . ." (Ps.4:5) And Basil the Great said: "Do not make light of a fall even if it be the smallest of faults; rather, be quick to repair it by repentance for in repentance is salvation." (St. Basil: Ascetical Works), Imust remind you that "every daythat we do not repent and grieve over our sins, we must consider as lost, even if we did other good deeds that day"as John of the Ladder says in Step 5. 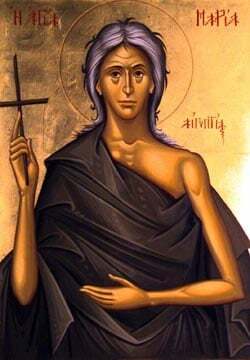 In conclusion, I say with St. Symeon the New Theologian that,"is necessary for all of us Christians to be healed of the passions and the wounds of sin, and then also to keep all of the commandments of the Lord and to perform every virtue. For if we die healthy and healed of the passions and sins through repentance, we will go to the kingdom of heaven." The Christian Church is a Scriptural Church. The Bible is the supreme expression of God's revelation to the human race, and Christians must always be "People of the Book." The Bible is something that lives and is within the Church. It is from the Church that the Bible ultimately derives its authority, for it was the Church which originally decided which books form a part of Holy Scripture; and it is the Church which can interpret Holy Scripture with authority. There are many sayings in the Bible which by themselves are far from clear and individual readers are in danger of error if they trust their own personal interpretation. "When the Spirit of truth has come, He will guide you into all truth." (1 John 16:13). It is this divine promise that forms the basis of the Orthodox devotion to Tradition. An Orthodox must see Tradition from within, he must enter into its inner spirit. Tradition is a life, a personal encounter with Christ in the Holy Spirit. Tradition is the life of the Holy Spirit in the Church. Tradition is the constant abiding of the Spirit; it is the principle of growth and regeneration. St. Basil said: "Some things we have from written teaching, others we have received from the Apostolic Tradition handed down to us in a mystery; and both these things have the same force for piety." The Orthodox Church has the same New Testament as the rest of Christendom. As its authoritative text for the Old Testament, it uses the ancient Greek translation called the Septuagint. When this differs from the original Hebrew, Orthodox believe that the changes in the Septuagint were made under the inspiration of the Holy Spirit. Orthodoxy, while regarding the Church as the authoritative inerpreter of Scripture, does not forbid the critical and historical study of the Bible. icon painters are not free to innovate as they please as their work must reflect the mind of the Church. Icon painters should be sincere Christians, living within the spirit of Tradition. And doctrine must also be lived. The Creed belongs to those who live it. Faith and love, theology and life are inseparable. The Creed is introduced with the words, "Let us love one another, that with one mind we may confess Father, Son and Holy Spirit, Trinity one in essence and undivided." This exactly expresses the Orthodox attitude to Tradition. If we do not love one another, we cannot love God; and if we do not love God, we cannot make a true confession of faith and cannot enter into the inner spirit of Tradition, for there is no other way of knowing God than to love Him. The Lord said: "Blessed are they that mourn." (Matthew 5:4) and the Apostle says: "Be joyful and cheerful." (Romans 12:8) what should one do in order to appear to be both mournful and cheerful? In addition, how can both of these, mournfulness and cheerfulness, exist in one and the same person? If the devil fools one into proudly thinking that one has done well, then everything that has been achieved is lost. Therefore, as you do whatever you do, humbly say: "Lord, forgive me. . ." The Lord Jesus Christ will save you. Amen. The freedom to truly be followers of Jesus Christ, the unhindered discipleship that we seek, is constantly threatened by various temptations. The image of St. Anthony being pulled in many directions at once by demons reminds us of the daily distractions that draw us away from prayer and faithful living. St. Anthony the Great of Egypt (c. 251-356) became a larger-than-life hero in late antiquity. He was only about eighteen or twenty years old when he inherited him family's wealth upon the death of his parents. Several months later as he was thinking about how the first Christians in Jerusalem shared their possessions (Acts 4:32-35), he heard in church the reading of Jesus' instruction to the rich young man, "If you wish to be perfect, go, sell your possessions, and give the money to the poor, and you will have treasure in heaven; then come, follow me." (Matthew 19:21-22; Luke 18:22) "When he heard this, Anthony applied the Lord's commandment to himself and immediately went home and sold the possessions he owned," notes his biographer, Athanasius, the bishop of Alexandria. Anthony became a humble and devoted disciple, learning self-restraint, cheerfulness, gentleness, prayer, diligence in reading and compassion from the more mature Christians around him." Athanasius writes, such that "they called him God's friend." Athanasius describes the later stages of the devil's temptation of Anthony as a physical attack by demons masquerading as wild animals of the desert. About the conclusion of Anthony's trials it is reported that "Jesus did not fail to notice his servant's struggle but came to protect him." The vicious assault ends when Anthony raises his eyes to see the light of the divine presence above him. As might be expected, the weary Anthony asks his Lord: "Where are you, good Jesus? Where are you? Why were you not here from the beginning to heral my wounds?" Jesus saw Anthony's success in resisting the demonic temptations and that his faith was not weakened. Paul's writing hints that our earthly bodies will be transformed into glorious bodies with characteristics like: imperishable, glorious, powerful and spiritual. We'll never again experiencer sin, sickness, pain, suffering, weakness, exhaustion or death. What is Jesus doing now that He has ascended to heaven? Scripture tells us that after offering Himself as a sacrifice for our sins, He sat downj at the right hand of the Father. Besides that, He is also residing within every believer in the person of thge Holy Spirit, Whom He sent to be in us and with us (John 15:26, Romans 8:9-10). Christ is actively working within you to shape your character and empower your obedience. Jesus lives to intercede for those who believe in Him (Hebrews 7:25). John 2:1-2 says that Jesus is our Advocate when we sin. Christ is preparing a place for us in heaven (John 14:1-3). We are Christ's body--His eyes, erars, voice, feet and hands--pointing others to Him. Jesus--the Lamb of God--John 1:29--the Lamb who takes away the sins of the world. Paul describes saints as "tose who have been sanctified in Christ Jesus, saints by calling." Sancify means to set apart from common use to a sacred use. Throughout Scripture, the Lord has sanctified days, such as the Sabbath, places and things. A saint is simply a person whom God has set apart for His purposes. Peter 1:16 says, "You shall be holy for I am holy." Santification, a three stage process by which He sets us apart for His purposes. The Last Supper, which took place hours before the Lord's crucifixion--was a Seder (Passover observance.) That Thusday night Jesus revealed the messianic significance of two symbols: bread and wine. In a Seder, a cloth bag with separate compartments holds three sheets of matzoh, or unleavened bread. The middle matzoh is removed and split. One half is broken and distributed; the other is wrapped in a napkin, hidden and brought back after it is found. Breaking the bread, Jesus said, "Take eat; this is My body" (Matt. 26:26). In Scripture, leaven symbolizes sin, so bread without yeast represents holy God. In the divided bag, matzohs are unified yet distinct--a picture of the Trinity. The middle bread signifies the Son, who left His Father's side to dwell among us (Gal. 4:4) and was broken for mankind (Isa. 53:5), wrapped in a burial cloth (Matt. 27:59), hidden in a tomb and resurrected (28:6). Our redemption was costly (1 Cor. 6:20). MONK PACHOMIOS THE GREAT was both an exemplar of wilderness dwelling and a founder of the monastic 'life-in-common" coenobitism in Egypt. Born in the III Century in the Thebiad (Upper Egypt). His parents were pagans. When the Monk was 20, he was called up into the army of the emperor Constantine. When the youth learned that local Christians came with supplies of food to feed the soldiers in order to act for the sake of their God, fulfilling His commandment about love for neighbor, Pacholios made a vow to become a Christian. He accerpted Holy Baptism, resettled himself into the lonely settle-ment of Shenesit and began to lead a strict ascetic life. One time, after 10 years of wilderness life, the Monk Pacholios was making his way through the desert, he heard a Voice ordering him to form a monastery at the ruins of the former village of Tabennis. Believing this to be a Commandment from God, he began to build a small monastic hovel. An Angel of God appeared to Saint Pacholios in the form of a schemamonk and entrusted to him an ustav-rule of monastic life. Gradually there began a gathering of followers to the Monk Pachomios who introduced a monastic rule of "life in-common," making everything the same for everyone in food and attire. He considered that an obedience, filled with zeal, was higher than fasting or prayer, and he demanded from the monks an exact observance of the monastic rule, strictly chastising flaggards. The number of monks at the monastery grew quickly, and it necessitated the building of 7 more monasteries in the vicinity. Saint Pachomios remained a deeply humble monk who was always ready to comply with and accept the remarks of each brother. The Lord granted the Monk Pachomios the gift of wonderworking and healing the sick. The Lord revealed to him the ultimate fate of monasticism. The monk learned that successiv e monks would not have such zeal in their efforts as did the first, and they would walk in the darkness of not having experienced guides. The Monk taught to avoid against judging others, and he himself feared to be judgemental of anyone even in thought. The Monk Pachomios always taught the monks to have hope only upon the help and mercy of God. The Monk Pachomios underwent many a temptation and assault frrom the enemy of the rtace of man, but he bravely warded off all the temptations by his prayer to God and endurance. Towards the end of his life the Monk Pachomios likewise fell ill from a pestilence that afflicted the region. The Monk died in about the year 348 at age 53, and he was buried on a hill near the monastery.